Although I was in Beirut six months ago, but I do miss this amazing city. There is something about this place that always makes me want to come back no matter how often I visit it. Soldier is full of Saudis these days, as it is always during the summer, but this is not the reason why I was missing Beirut today. The reason was this blogpost by Susannah Tarbush where she reported on Zeid Hamdan and his effort to create an alternative music scene in Lebanon. In December 2008 I had a chance to attend one of his shows with Hiba Mansouri, who actually left a nice comment on my post last year. I recorded a couple of videos during that night, and I thought I’d share one of them with you here. In the video you can hear Hiba sings Ahwak, which an old song by Fairouz, and next to her you can see Zeid playing the guitar and fiddling with his laptop. Good times. On the third day there was two presentations, the first by Mohammed Basheer, and the second by the Drima. Basheer talked about AljazeeraTalk project, and it was good to learn what they have been up to since the first time I heard of them when I was in Doha back in 2006. However, Basheer had a tough time trying to explain the tangled relationship between the project and Aljazeera news channel. Basheer said the project, despite its name and logo, is not affiliated to Aljazeera, but they receive support from the channel in the form of training to their editors and other means. How does that affect their independence and neutrality? I’m yet to hear a convincing answer to that question. AljazeeraTalk is an interesting project, but they need to answer such tough questions if they want to be taken more seriously. Later on, Drima talked about SEO and how bloggers, aka “my beebull,” can use its different techniques to increase their influence and extend their reach. Of course there was a debate on how effective such techniques are and if there were simply “tricks to game Google.” Drima admitted that Google is fighting this because they want to keep their search results relevant, but he said it’s a cat and mouse game that we should be playing in order to voice our opinions and make them accessible to more people. Although most attendees of the meeting were bloggers (it’s the Arab Bloggers Meeting, after all), it was also good to hear from non-bloggers in this event. Gamal Eid, a lawyer and head of the Arabic Network for Human Rights Information, gave a presentation about the legal support for bloggers. He demonstrated some examples of different cases they have worked on, and explained their approach in dealing with cases where bloggers are involved, especially when they get arrested by their governments. As for the other presentation on the fourth day, it was given by Jacob Applbaum aka Ya3qoub. The talk focused on circumvention tools, which something Jacob knows a great deal about from his work on the Tor Project. It turns out that the Tor Project website is blocked in Saudi Arabia, but hey, you’re not gonna let them win this, are you? You can still use Tor by installing this Firefox extensions. To use the Torbutton extension mentioned here you need to install Tor first. As I said the website is blocked here, but you can still get Tor by sending an email to: gettor@torproject.org. The fifth day of the meeting also had two presentations. First, Ramsey Tesdell of 7iber.com talked about the new media ecosystem and what they have learned from their experiment in Jordan. It was also good to learn of another promising new media experiment under the same name from Lebanon. Ahmad Gharbiea gave the last the presentation in the event and it focused on Creative Commons and how Arab bloggers should deal with licensing issues. Keep in mind that these presentations were just part of the five-day event. The bigger part of the event was made up of many, many concurrent workshops on many different things and given by many people. Anyone who has an experience that she would like to share with others was welcome to stand up and say: “hey, my name is X and I would like to talk about this!” The meeting mostly took the barcamp format, which made it really fluid and informal. People were free to choose which workshops to attend, and some of the popular workshops had to be repeated or extended. At the end of the meeting, the organizers invited those who spoke and gave workshops to stand up and the scene was just so inspiring, refreshing, and amazing: the great majority of people in the room was standing up, which means they didn’t only come here to listen, but also to share their knowledge with others. Usually in conferences, you have a handful of speakers and hundreds of silent attendees. This was not the case here. The Arab Bloggers Meeting was an Uncoference, and a great one at that. The first Arab Bloggers Meeting last year in Beirut was really good, and the second one which is taking place this week has been going great. Last year’s event, held in Zico House, was small and cozy, and I was afraid that since there will be much more people this time around that we would lose that coziness. Luckily, this is not the case. The atmosphere is pretty informal, and the good thing in this year’s meeting is the large number of practical workshops aiming to teach bloggers some practical skills that they can use to improve their blogging experience. More than 75 participants from 18 countries kicked off the meeting on Tuesday. The first day included two main presentations: online campaigning on Arab blogs; and a critical look at the “Mapping the Arabic Blogosphere” report. 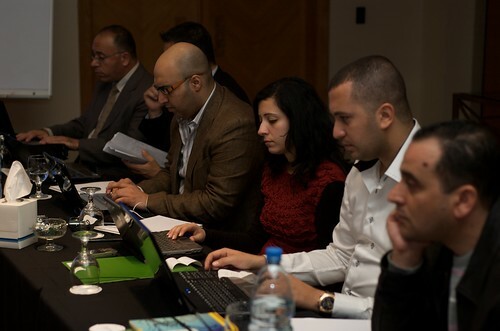 The online campaigning presentation was given by Egyptian bloggers Noha Atef and Eman Abdul-Rahman. The latter is the leader of We’re All Laila campaign. It was interesting to learn how the idea of this campaign developed from a chat filled with frustration between Eman and a friend. “Then I thought: what if all women spoke out about their issues at the same time?” Some of you probably remember that my blog featured a contribution at the campaign in 2008 written by a friend of mine. Noha, on the other hand, talked about the basics of online campaigning, best practices and do’s and don’ts. Razan Ghazzawi gave a critical look at the report issued by the Berkman Center for Internet and Society at Harvard Law School. Razan had some problems with the language and context of the report, which she found unfairly biased. Although I think Razan has made some good points, I believe that most of her critique seemed to focus on minutiae that seemed irrelevant in the larger context of the report, which is based on data mining and aims to draw a map from that data without attempting much to draw any radical conclusions. The report was about trends and links, not political analysis. On the second day, Manal Hasan of manalaa.net fame spoke about Arab Techies: how the idea came about, what they are doing in the present, and what they plan for the future. The project that interested me the most in their work was an initiative to develop open source Arabic fonts. One of my biggest annoyances with the Arabic content on the web is the limited number of fonts available for use which results eventually in badly designed websites. Later on, Anas Tawileh of Meedan.net spoke about their experience so far in building a platform for translating web content to Arabic. The approach of Meedan, which uses IBM technologies, employs a machine translation aided by human translation provided by a network of volunteers. I have used their service here on Saudi Jeans a couple of times over the past few weeks and they do a very good job. Those of you following me on Twitter have probably noticed that I was in Lebanon for a few days last week. I was participating in a media workshop on climate change organized by the League of Independent Activist aka IndyACT. The venue of the workshop was the MFDCL hostel and training center, located in a pristine, small forest in the quaint village of Ramlieh in the Aley District, Mount Lebanon, at an altitude of 800 m. It was a bit of a hassle to get there, but I was glad they chose this place, 40 Km away from Beirut and its tourists and humidity. Environmental issues have never attracted enough attention in Saudi Arabia. Such issues do not seem like a priority for the government (what are their priorities, btw?) and the lack of a civil society mean that taking care of the environment is left to non-institutionalized, individual efforts. It is true that we as citizens should contribute as much as we can, but the challenge we face today calls for action on larger scale. As the world’s biggest oil producer, Saudi Arabia must act responsibly and play a a constructive role in protecting the environment, but the fact that our economy is dependent on oil has made the government take a negative stance on the necessity of reducing greenhouse gases emissions. And it’s not only economics, it’s also about political influence that comes with oil. This stance is also shared by other oil producing countries like Kuwait. When asked how much of financial aid would it take for them to change their environmental policies, a Kuwaiti official explicitly said it’s not about the money. Some environmental activists suggest that Qatar can work to exert pressure on Saudi Arabia here, but I really doubt that Qatar would sacrifice their recently improved relations with the big neighbour over an issue like climate change (shocking, I know). So counting on Qatar seems like wishful thinking to me. The Saudi stance does not strike me as the result of ignorance or denial, but rather stems from underestimating how urgent the issue of climate change is. The government is also well aware that oil will not last forever, and they know it is not wise to be overdependent on its revenues in a volatile energy market. They are already moving in the direction of diversifying their economy by investing in different sectors and industries. Saving the world is a very noble goal, but sadly it is not enough of a reason to convince countries to change their greedy policies. To win this battle you need to convince them what’s good for them in it. The Saudi attitude here reminds me of the US attitude. It took the US a change of administration to change their position. I don’t know what would it take to change the Saudi position. Sorry about the hiatus. I’m back in town after a few days in Beirut, and No, I wasn’t there to enjoy the Eid break. I was invited by the World Association of Newspapers (WAN) to participate at the 3rd Arab Free Press Forum. I was a speaker at last year’s event and I had a good time there. 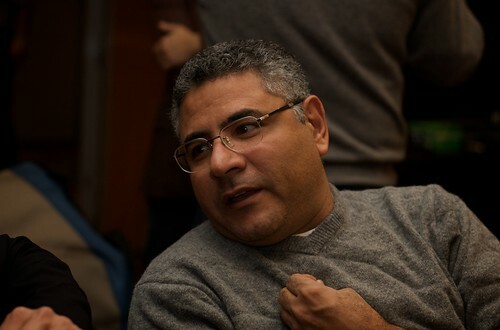 This year, my friend Fouad al-Farhan was invited to speak on a discussion panel on the changing face of Arab blogging. 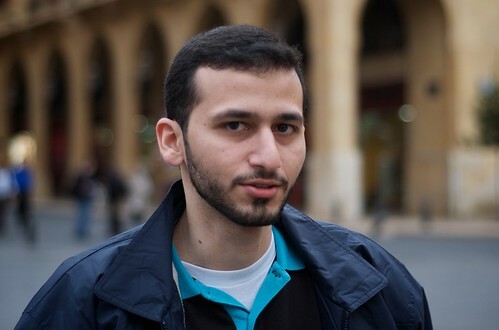 Unfortunately, Fouad was stopped at Jeddah airport and was told that he is banned from leaving the country. I was in Riyadh airport preparing to take my plane to Beirut when I received the disturbing news which made me upset. What happened to Fouad reminded me with other good people in this country also banned from traveling despite what they have contributed to this nation. People who sacrificed their freedom to promote free speech, human rights and justice. It is truly sad that such people are treated this way, especially in these times that carried the signs of reform and hope for a better future. However, Saudi Arabia was not alone in this shameful act. Syria and Tunisia followed suit by banning two journalists and a human rights activist from traveling to attend the event. In his opening remarks, Timothy Balding, CEO of WAN, thanked the authorities of Tunisia, Saudi Arabia and Syria for this eloquent and timely demonstration of their contempt for, and fear of, free expression. Of course this is not surprising. According to the latest Annual Worldwide Press Freedom Index released by RSF, the three countries ranked 143, 161 and 159 out of 173. Now coming to the forum’s sessions, the first one dealt with new tactics used by governments and the judiciary to impede and sanction the independent press. In his introduction, the moderator described these new tactics as oblique or subtle. But Ibrahim Essa, editor-in-chief of Al Dastour daily in Egypt refused such description, saying the Arab governments are not cleaver enough to employ such tactics. “I think Arab governments are stupid and repressive and they don’t need to resort to oblique tactics. Our governments don’t need to resort to oblique tactics because they are blunt,” he added. 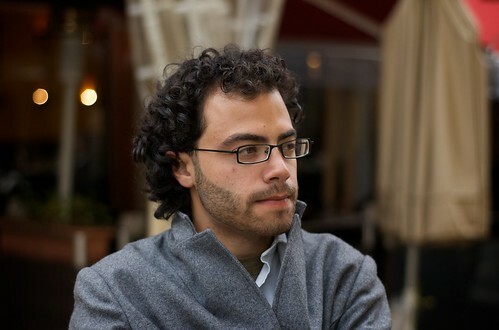 The second session, on which Fouad was supposed to speak, focused on the Arab blogging scene. Interestingly, and maybe not surprisingly, the three presenters are all living and writing from outside their countries. Syrian blogger Mohammed al-Abdullah talked about restrictions on the internet in his country and the evolution of the Syrian blogosphere. 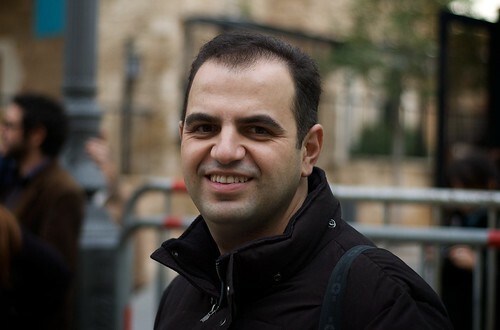 He said the bloggers have become a source of information for Syrian citizens, despite all the constraints and obstacles for even just being on the internet. Mohammed left Syria after being arrested twice and facing a third arrest (his father and brother are both in jail). Sami Ben Gharbia, as usual, was awesome. He talked about Tunisia’s sophisticated internet blocking apparatus, and how bloggers and activists have used Web 2.0 technologies to find and use innovative ways around the system. But I have to say that it was Kizzie Shawkat, the blogger from Sudan, that I felt I could relate to her story the most. Kizzie started blogging because she had no venue to express her opinion, but quickly found herself in a role where she was providing a view of her country from a different perspective from official sources. I agree with her that blogging has become an important forum for social activism, and I think this could lead the way for other kinds of activism in the future. “You have to allow people to express themselves and we’re not used to doing that,” she concluded. While the third discussion panel of the day that addressed editorial policies, trends and innovations in Arab newsrooms was not particularly interesting to me, the first day of the conference ended with much drama as four Tunisian government officials interrupted the presentation of a new report by the Tunisia Monitoring Group about the lack of freedom in Tunisia. The Tunisian officials broke into a shouting match with the speakers and other attendees who found themselves quite amused by those officials who shamelessly embarrassed themselves. The second day of the conference had only one panel which discussed the business of newspaper publishing in the Arab World. Later on the day, we witnessed the ceremony of the Gebran Tueni Award. This year’s prize was handed out to Ibrahim Essa, who was recently pardoned by his country’s president, but still facing 32 lawsuits. Away from the conference, and although Fouad’s travel ban left a dark shadow on the trip, it was as always good to be back to Beirut and meet friends and fellow bloggers. The city was filled with tourists and visitors, many of them Saudis, but I avoided hanging out in their favourite spots. I want to thank my friend Buthaina for taking me to the Comedy Night show, where Mario Bassil and his colleagues entertained us for more than 2 hours and made fun of almost every single Lebanese politician. I want also to thank my friend Alex for the good times, especially at Club Sociale in Gemayzie where we enjoyed a lovely performances by Hiba Mansouri and Zeid Hamdan aka shift Z. Finally, I want to leave you with this interesting column (Arabic) by Yahia al-Ameer. He argues that what makes Beirut attractive to Saudis is not its touristic spots like Raouche, Solider or Aley but rather the freedom, diversity and individuality they can touch here, which represents a stark contrast to the conformity of their society. You think this is the case? Discuss. Sowar Magazine is a bi-monthly journalistic and documentary photography magazine that focuses on Lebanon, the Middle East and the Gulf. Back in July the magazine announced an interesting project called Minute 22. The project was about taking a single photo at the exact same time in the Arab world, the objective was to document, through pictures, what everyone else is doing during Minute 22, and the time was on Friday 22 August 2008 at exactly 2:22 PM Lebanon local time. I’m not much of a photographer, but those who know me know that I don’t leave the house without my camera. So I decided to participate at Minute 22 and told others they should participate too. I wished I could be in Riyadh to take such picture, but I was going to be in Beirut. I did take some pictures anyway, not thinking any of them was good enough to make it to special issue of the magazine. After I came back home I sent them one of the pictures, and much to my surprise they liked it! Now here’s the sad part. When the magazine came out this week I received an email from the magazine congratulating me that my picture was published, and that I can purchase my copy online from anywhere except Saudi Arabia. When I asked them why, they said they have tried to send issues in the past to Saudi Arabia but every time they bounced back! I guess the Ministry of (dis)Infromation don’t like photography that much. The picture, shown here in the upper left corner, was taken at Zico House in Beirut during the first Arab Bloggers Meeting that I attended last August. In the picture you can see my friend Alex, a Swedish journalist, speaking with her Lebanese colleague Sassine. They both work for Menassat, and they were probably talking about the interview they were going to do with me and other fellow bloggers later that day. I did not enjoy Beirut as much as I wanted when I went there for the first time last December. The schedule was tight, the weather was cold, and the political situation was tense. But now it’s summer, and I hope it will be different this time. I will be flying to Beirut tomorrow to participate at the Arab Bloggers Meeting, an informal gathering for online activists in the region organized by Heinrich Boell Stiftung Middle East. It should be interesting. P.S. I want to thank Prof. Abdul-Rahman al-Obaid and Dr. Ashraf Mahmoud for their understanding and support.